All of our efforts paid off in 2014 with the creation of Banu: A high end, artisan toothbrush, whose handle and packaging ​are​ completely compostable. 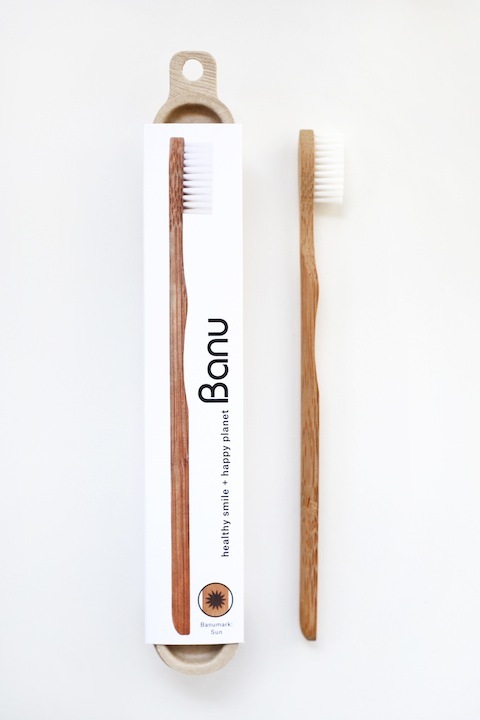 Our Banu toothbrush will serve your teeth and gums as long or longer than any other brush on the market. Our Banu handles and container will compost only after being discarded. With our deep respect for nature, beauty and integrity, we designed and created Banu: a bamboo handled toothbrush, whose packaging and handle ​are completely compostable. Sorry, no exchanges, refunds or returns at this time. * State tax applied to California residents only.